Holy dystopian future Batman! 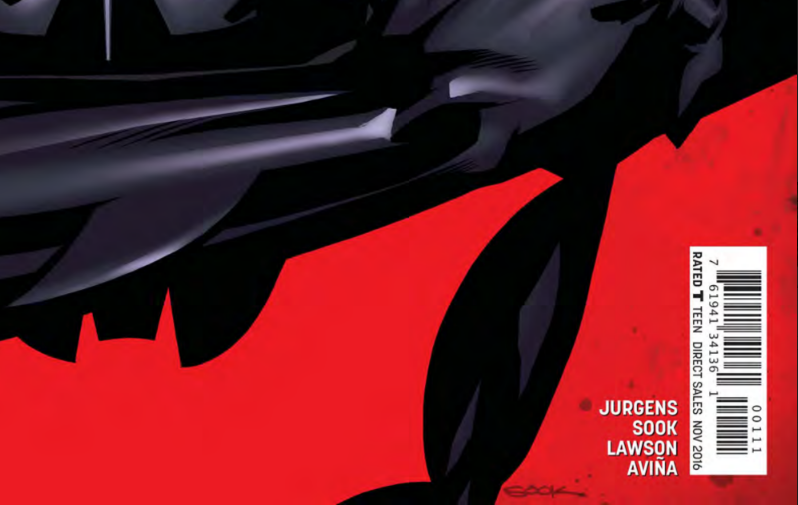 Terry McGinnis has returned from the supposed dead to take up the mantel of the Bat once again. 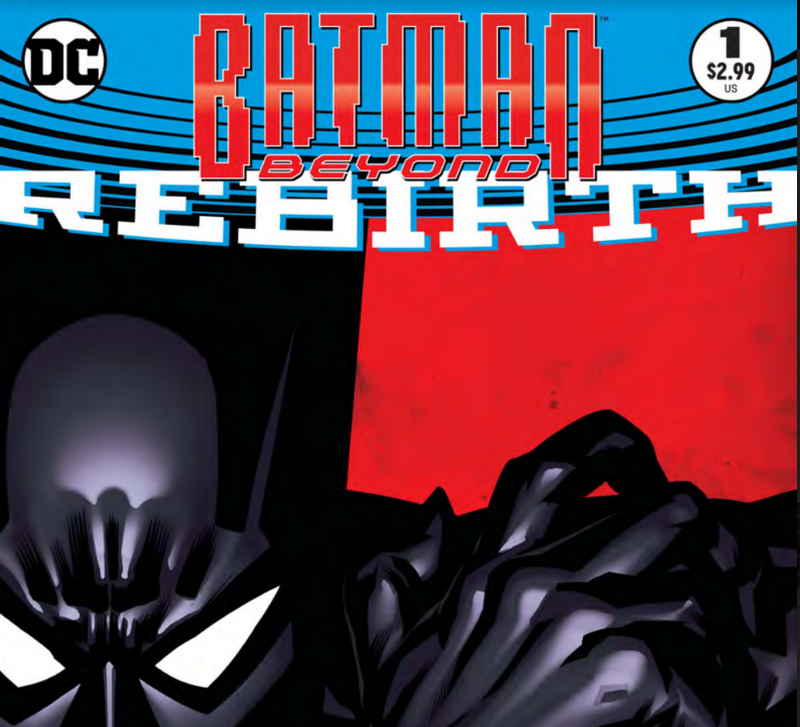 For those who are unfamiliar with Terry and Batman Beyond this was a series that in theory should have sucked but in practice was amazing in almost every way. Terry is the inheritor to the identity of Batman and inadvertently the son of Batman but that is a long story, watch Justice League for an explanation. The series was slow to start but quickly took on a life of its own and Terry became a well rounded hero who maybe lacked Bruce’s incredible wit but definitely had his heart. He not only had his own diverse cast of villains but he even took on some of Bruce’s. Allied with commissioner Barbara Gordon, Terry started to became a respected Batman who was an ally of Superman alongside Static Shock and the son of John Stewart and Hawk Girl. Terry in many ways is a more human Batman, he is definitely more relatable because he isn’t perfect and he isn’t always so well prepared, though his sheer determination makes up for it. The new series is set after the death of Bruce Wayne, Terry himself has returned from his supposed death to try and rebuild his life. 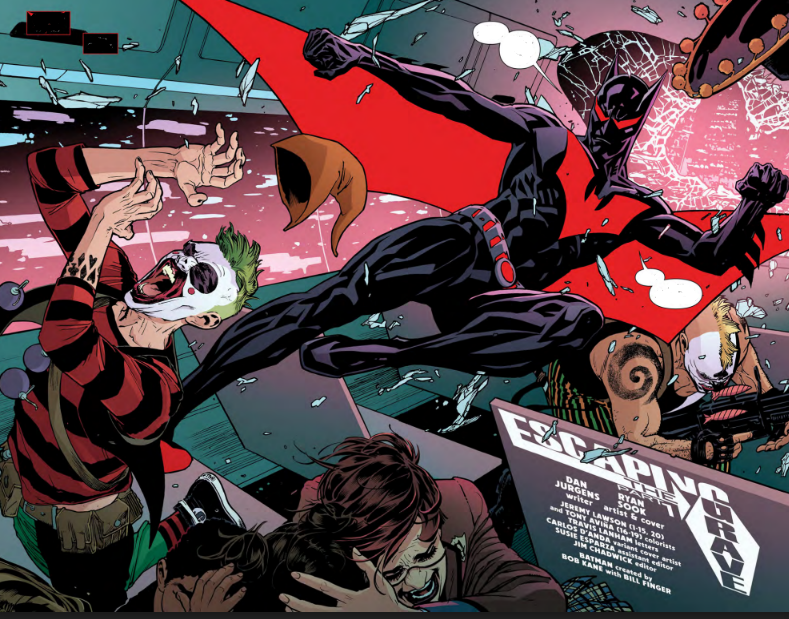 The Joker is terrorizing Gotham/Neo-Gotham and Commissioner Gordon is struggling to keep up. Luckily Terry and her are now battle hardened comrades are willing to fight alongside each other much like her father and Batman once did. The series also pays tribute to the original cartoon series with Max and Dana also making returns and even one of Terry’s oldest foe’s making his triumphant comeback. If you where a fan of this cartoon you will love this series, if not then this is still a good jumping off point and it’s really worth a look.